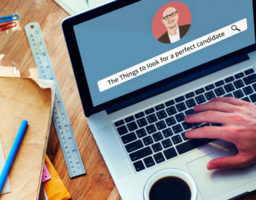 While recruiting a company has to consider a lot of activities ranging from searching candidates, performing hiring procedures and then finally selecting the suitable candidate. This involves a lot of time, cost, manpower, and other resource consumption. Giving all these require a lot of efforts and it is not feasible to arrange for every organization. This is where RPOs comes into play. They perform all these tasks for you and shoulder all your burden. So, partnering with an RPO is surely a beneficial bid. But there are some key facts which need to be kept in mind while selecting the RPO for your requirements. Here we enlist some of those key facts, which you should always look for while hiring or partner with an RPO. RPOs are highly outcome oriented. But it is highly required to consider whether the outcomes actually corresponds to your requirements. So, to clearly analyze if the output quality of the RPO matches the standards that you have set is highly recommended. Every organization is a mix of several cultures and backgrounds. The company also have some specific cultural ethics. SO to analyze whether the RPO’ working procedure actually meet the cultural and social aspects of the organization. Whether the RPO operates as per the cultural and works environment ethics of the organization? Is it feasible for both the RPO and the organization to understand and work as per the ethics and environment of each other? If all these questions can be answered in a positive manner only then the RPO can suit your requirements. This area basically focuses on the expertise of the RPO and looks for the fact if the RPO is skillful enough to fulfill your needs. IF their technological expertise is suitable for you. If the RPO is capable of standing up to your expectations regarding geographical constraints, social constraints. If the services and the scalability they provide are suitable enough to fulfill your industrial needs. Are they evolved enough to withstand the changing trend, if their technologies and methodologies are flexible enough to adapt updates or changes? All these facts need to be focused while partnering with an RPO. Money or finance has a lot of significance in any business, so it is highly recommended to take all the finance-related aspects and possible troubles in mind. Be it the financial risks involved in any business, or the possible contract period for your organization with the company. It is essential that they suit your requirements and are financially feasible for you to execute. How Glocal stands on these points. Glocal RPO has turned into a trusted and reliable name in this industry only due to their unique and flexible hiring practices. With Glocal comes global expertise, but in a much dynamic way. Their flexible policies can adjust to the requirements of any culture or society. Their target or goal oriented approach makes them a reliable horse to bet. Whether you want to hand over the complete hiring process or just assistance for your in-house hiring team, Glocal provides you with all sort of dynamic services.